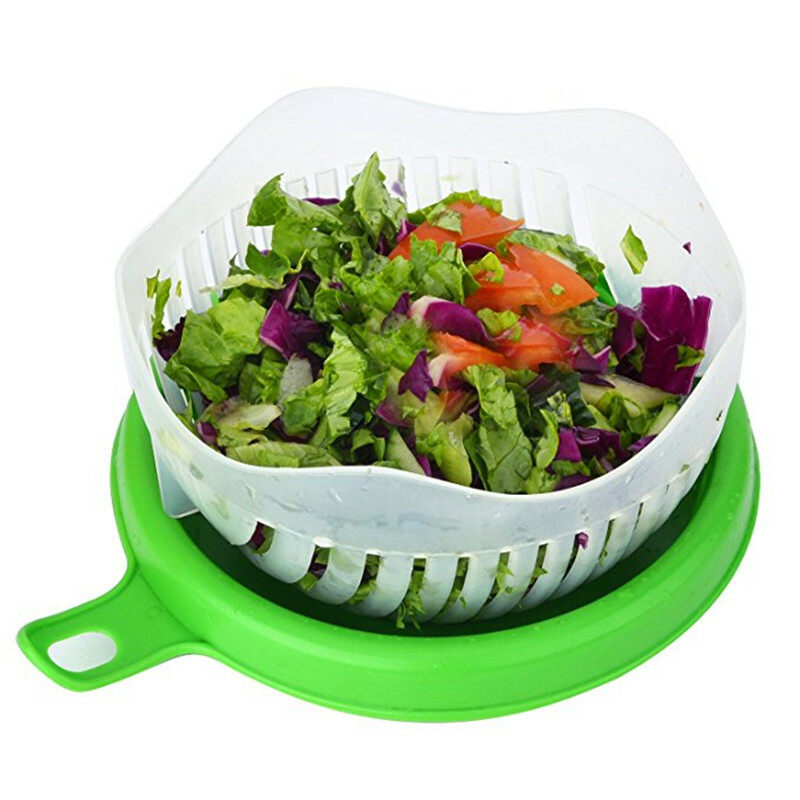 You will get one 60 second maker(BPA-free) and easily rinse, chop and serve almost any salad in seconds! 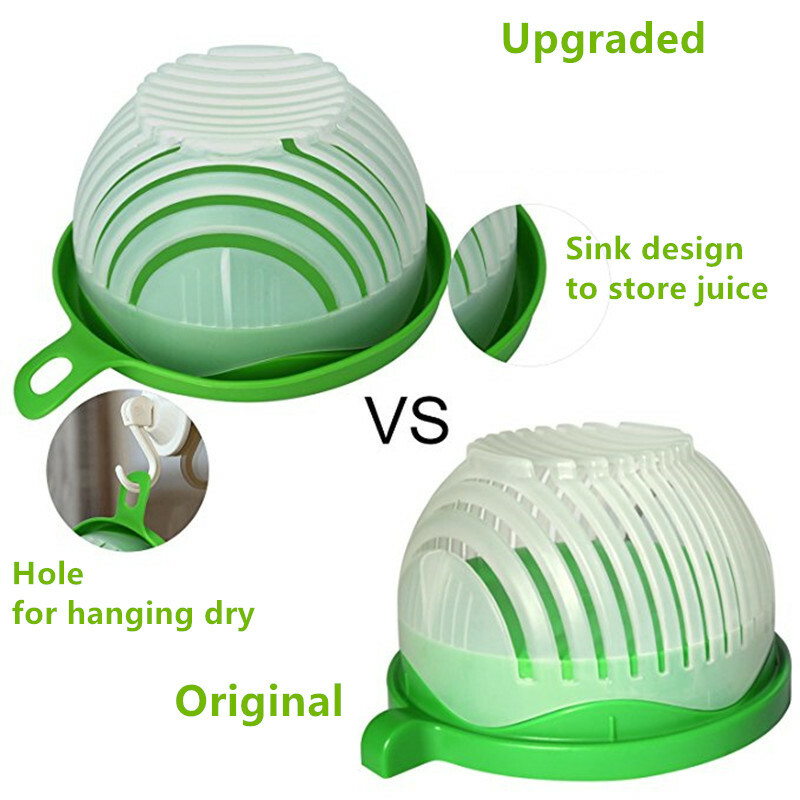 The unique slits take all the hassle out of rinsing and straining and allow you to chop the ingredients all at once! It's the easy way to healthy , fresh salad every days. It 'S very quickly. Good, honest seller. Salad Bowl quality. all the whole. fast shipping приноровиться need. Satisfaite. Emballage abîmé mais produits intacts. Labai greitas pristatymas. Prekė gera. Labai patenkinta. dežė tai baisi, bet pats daikčiukas sveikas. отслеживался track, доехало within 16 days. заказала just case with box, целее to. creepy мятая was box, цело all but inside., practical thing how, mother брала настойчивой it on request. 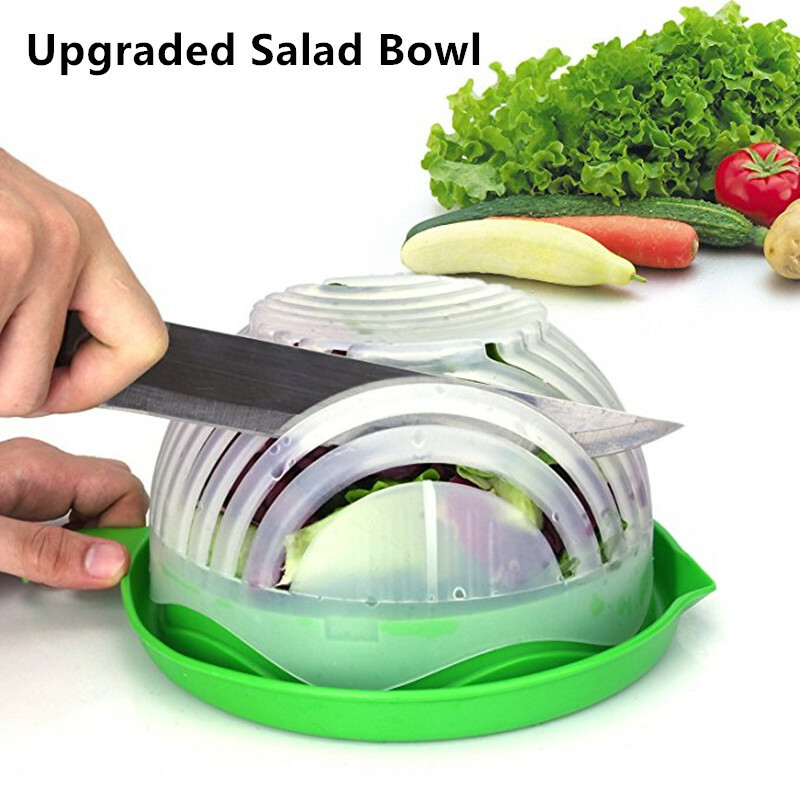 is a very useful accessory for me personally lettuces cut-dont like because it have always takes a long time помыл all here and, slit so помещалось to, and through накрыл крышечкой salad minutes a pair of ready! short boot per one person. smooth cutting not perfect-минусов of bottom and plastic pieces very thread in unknown knife and time can be damaged enjoy. overall very satisfied! carefully packed all seller, доехало, like all by ali-within 2-3 weeks. is more expensive in the same киеве accessory. item matches the description. fast shipping. cool thing. colander cutter-. basically is convenient, size just two. помыл, нарезал, flipped, поддончик under the bottom, built, кушаешь. operating diagram. need in advance порезать 2части at least 4 or tomato cucumber and large. влезает or not. in general all is well. fast shipping заказала come 16.04 30.03. общалась not the seller. week 2 order come краснодарский edge. very fast, thank you seller! 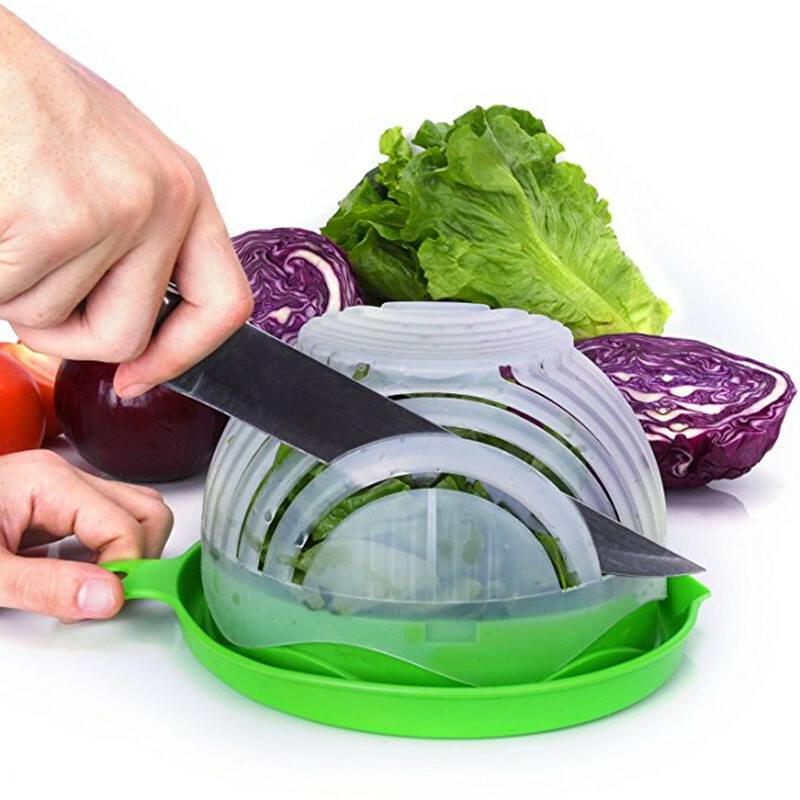 vegetable cutter is very comfortable. 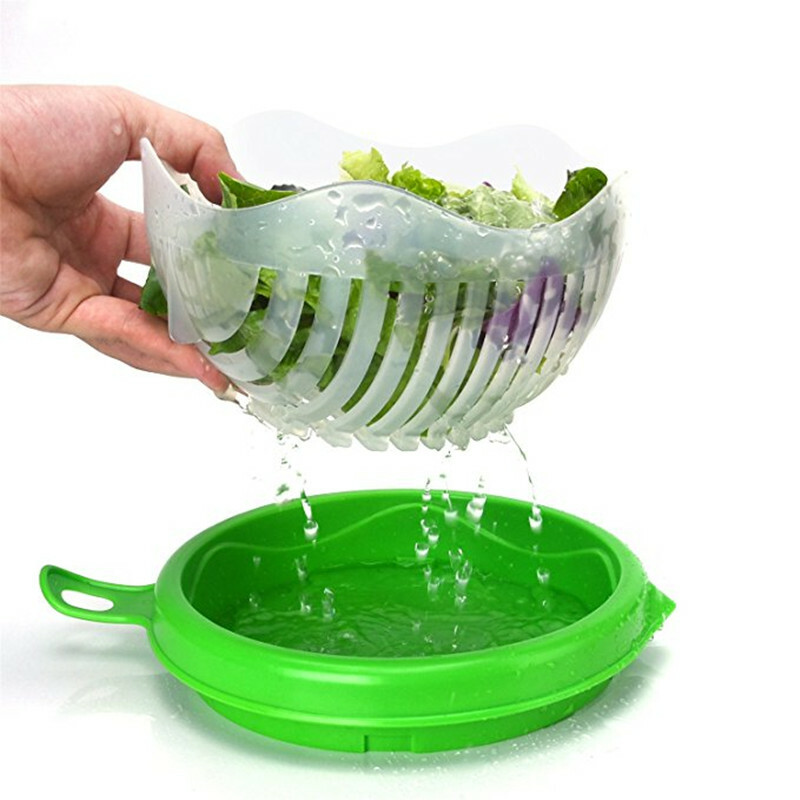 wash vegetables and can be used for cutting. satisfied very purchase. very fast shipping comfortable humdinger! week come goods, thank you seller! normal serving three two-bowl. not хлипкая, resistant.-all without packing брала it is normal, broken and scratch! Superfast delivery to Australia in 1.5 weeks! Smaller than what I thought it would be but it will do the job and is pretty good quality. Packaged very well with bubblewrap.